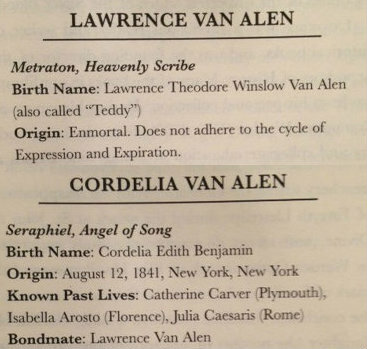 What is Cordelia Van Alen’s Angel name? 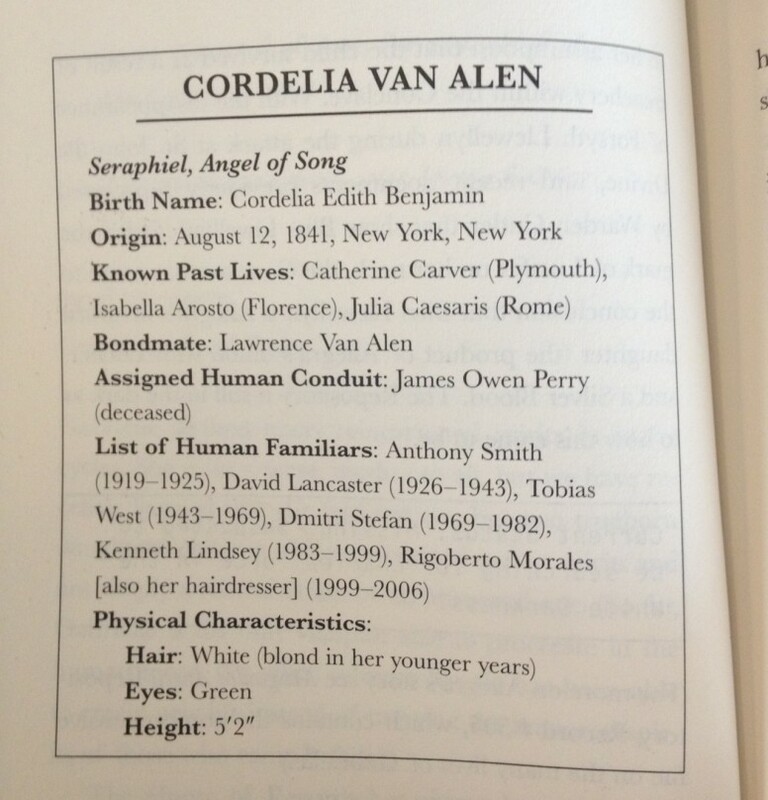 Cordelia Van Alen is the Angel of Song. 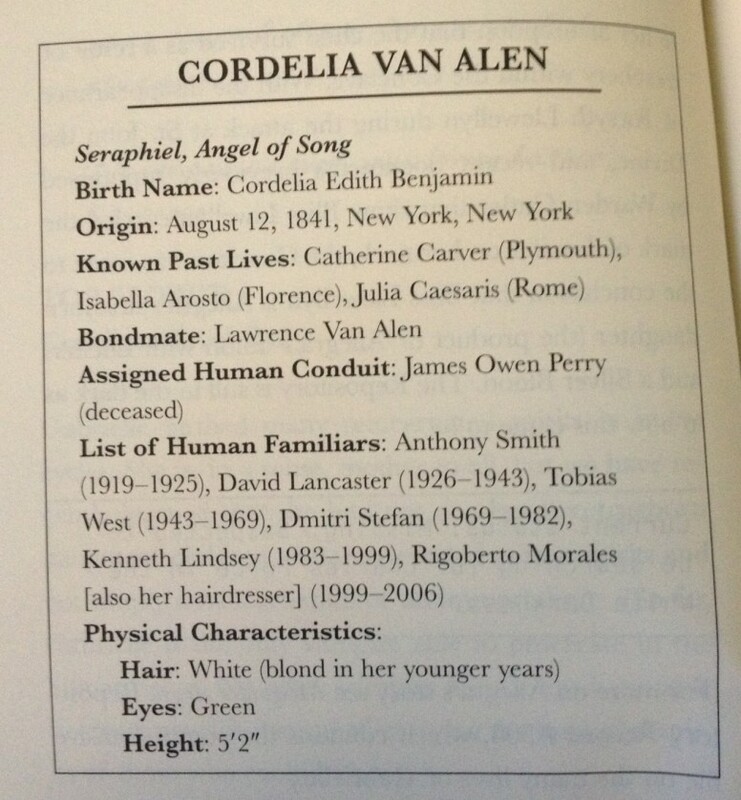 What are the known past lives of Cordelia Van Alen? 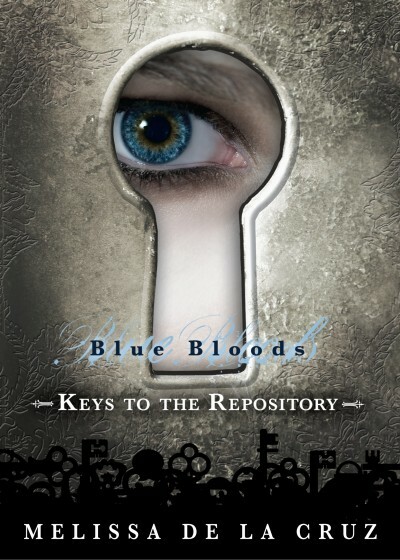 Answer to today’s Blue Bloods Trivia is… Angel of Song! Blue Bloods True of False! Answer to today’s Unscramble: LAWRENCE AND CORDELIA! 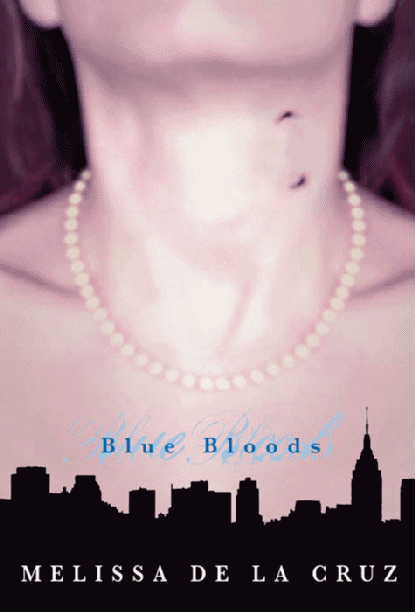 Answer to today’s Guess the Quote: Cordelia to Schuyler, Blue Bloods, pg. 293!